Don’t simply take your time walking. But instead, you’ll want to run or drive to either your local T-Mobile store or closest computer connected to the web. 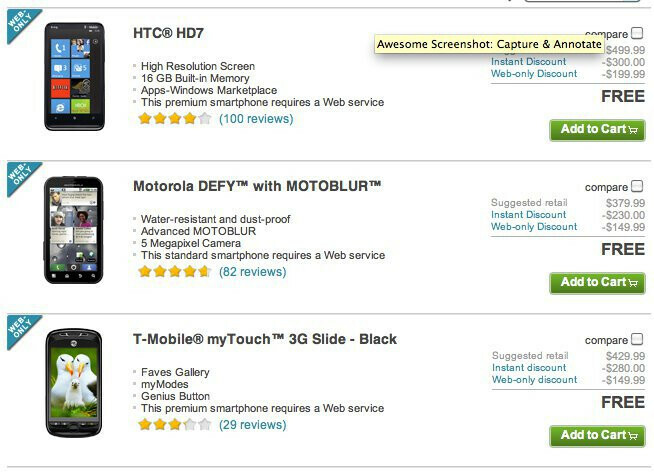 That’s because T-Mobile is offering a trio of respectable smartphones for the acceptable price of free with a contract. 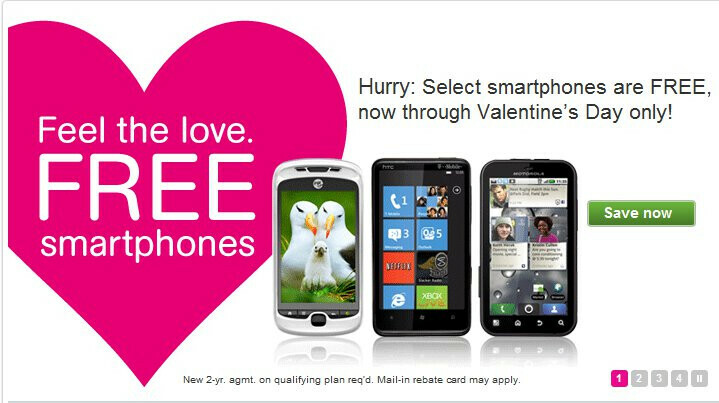 For today only, the HTC HD7, Motorola DEFY, and T-Mobile myTouch 3G Slide can be purchased for FREE with your signature on a 2-year contract. On this day of love, the carrier continues to shows it gracious nature after throwing their special Valentine’s Day sale which placed all smartphones for free as well. So if you missed out on that opportunity, you have until the end of today to take advantage of this limited offer. Don’t make another mistake in waiting too long because the more you’re sitting around and contemplating a decision; it’s only going to be a matter of time before the books are closed on this exciting promotion.